What is ELV Sector Council? Home » What is ELV Sector Council? 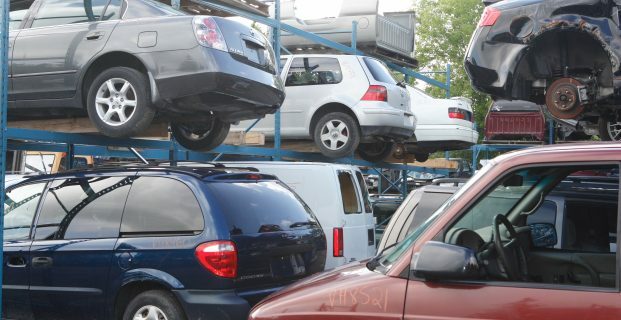 The Automotive Recyclers of Canada have established the End-of-Life Vehicle Sector Council to help grow and modernize the end-of-life vehicle (ELV) processing sector in Canada. The Council is set up as a not-for-profit national corporation guided by a voluntary Board of Directors comprised of industry participants and stakeholders from related industries. 1. Facilitate the education and training of individuals and businesses who process end-of-life vehicles in Canada. 2. Develop and maintain standards for individuals and businesses who process end-of-life vehicles in Canada. 3. Collect and distribute information about the end-of-life vehicle sector in Canada. 4. Undertake research in to the processing of end-of-life vehicles in Canada.